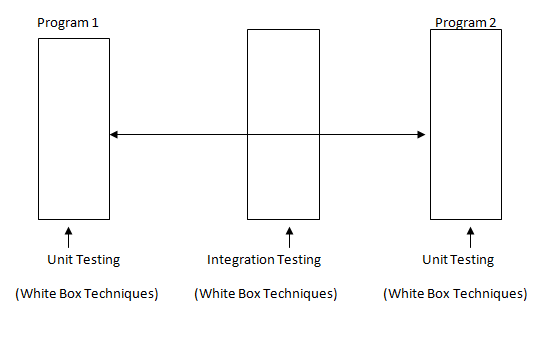 In fish model/V model /Agile model , the first stage of testing is documents testing. 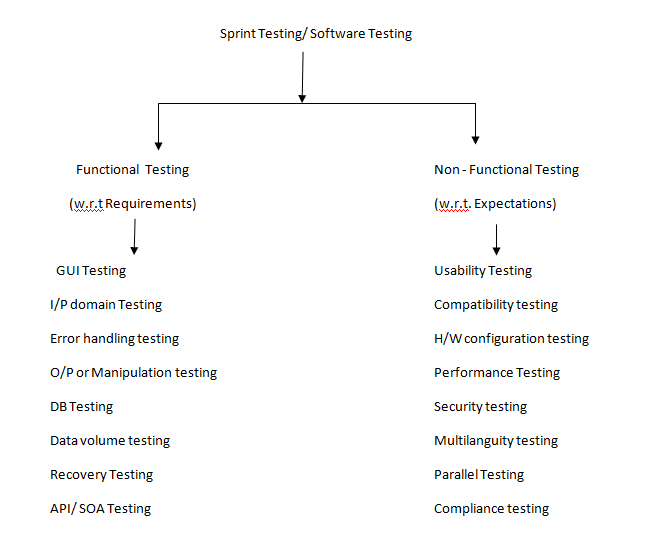 This testing is also called as verification or static testing . PO is responsible to prepare product backlog document by specifying all users stories. The same PO can review that product backlog for completeness or correctness. 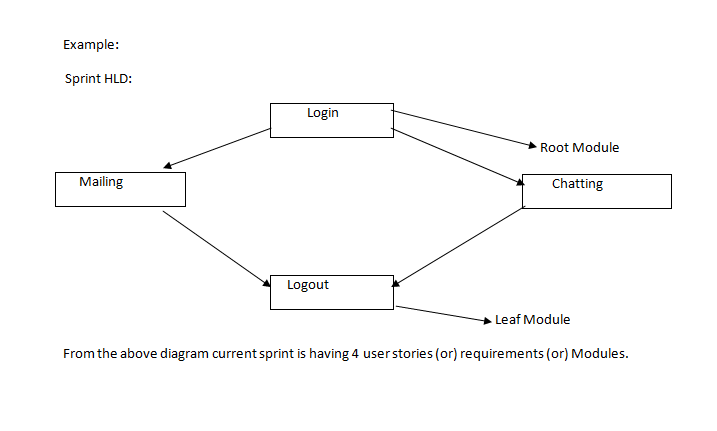 PO along with scrum master are responsible for sprint back log preparation by selecting some user stories from product back log . They will verify completeness and correctness of that sprint backlog. Developers in scrum team (ST) can study that sprint backlog and prepare HLD or LLD’s. 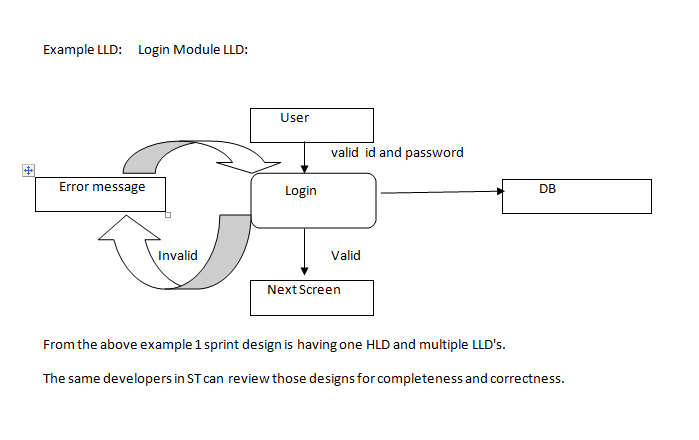 Here, HLD is specifying overall architecture of sprint , every LLD’s specifying internal logic of specific model. Walk through: Study a document from first to last. Inspection : Search a document for specific factor/ issue. Peer review : comparison of two similar documents point to point. The above 3 techniques are called as documents testing techniques/ Verification testing techniques/ Static testing techniques. After completion of documents preparation and testing, corresponding developers in scrum team can start coding. Here developers can write programs and test every programs , by using write box testing techniques. Developers can use this technique to confirm that program is working or not without any runtime errors. Here developer can run corresponding programs more than one time to cover all regions of that program. Step 1: Programmer can open program. Step 2: Draw flow graph by emulating flow of execution of that program . Step 3: Find No. of paths in that graph ( cyclamatic complexity ). Step 4: Run program more than one time by covering each path of execution for runtime errors. After completion of basic paths coverage, the corresponding programmer can concentrate on that program is correctly working or not. 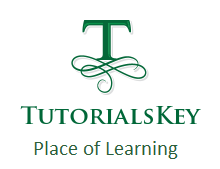 Here programmer can enter inputs and check correctness of output of that program. This technique is also called as debugging . Note: Once in past , testing means debugging. Today debugging is a part of testing . When program is correctly working , corresponding programmer can calculate speed of that program execution . If speed is not responsible , then programmer can change that program structure without disturbing functionality . Take less time but need extra memory. Take less memory but take more time. After completion of 3 tests on our program , corresponding programmer can perform changes in that program to perform retesting . If retesting was effected because of changes , corresponding test coverage is good on that program. 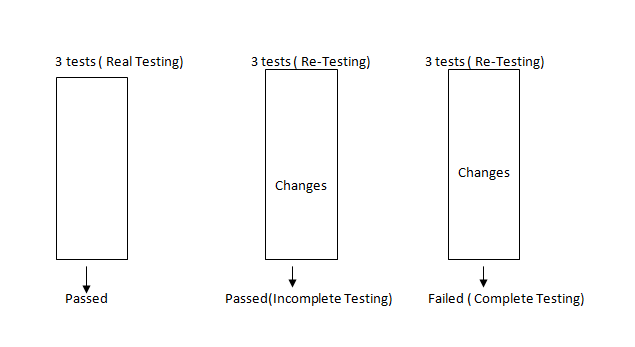 If retesting was not affected because of changes , corresponding test coverage is not good on that program and programmer needs to continue same program testing . 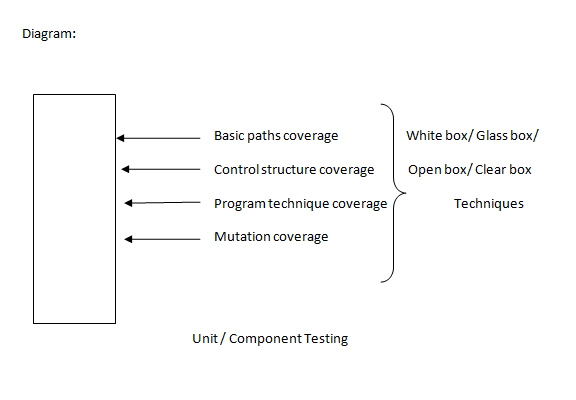 After completion of programs writing and corresponding programs unit testing , programmers can start interconnection of those programs to build a sprint (or) software . While interconnecting programs , programmer can follow any one of below approaches. From this approach, programmers can interconnect main program with some of the sub programs. In the place of remaining sub programs, they can use temporary programs called as Stub. From this approach, programmer can interconnect sub programs without involvement of main program because main program is under construction. Here programmers can use a temporary program instead of under constructive main program, called as ‘Driver’. This approach is a combination of top-down and bottom-up approaches. The above Top-down, Bottom-up and hybrid approaches are called as Incremental Integration approaches. From this approach, programs can interconnect programs after completion of 100% coding. 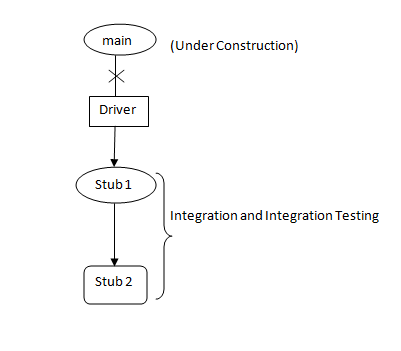 After completion of Integration of programs and integration testing, corresponding developers in scrum team(ST) can release sprint or software build to testers in ST.
Testers in scrum team can receive sprint or software build from developers and then conduct below specified functional and non-functional tests. 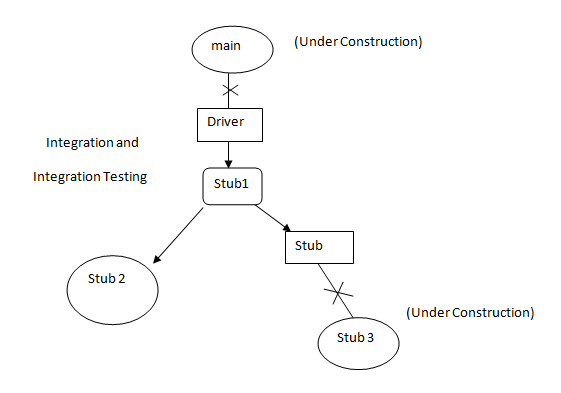 In this article we have seen Manual Testing for Beginners – Testing Stages or Phases. In next article we will see Functional and Non-functional Testing step by step.